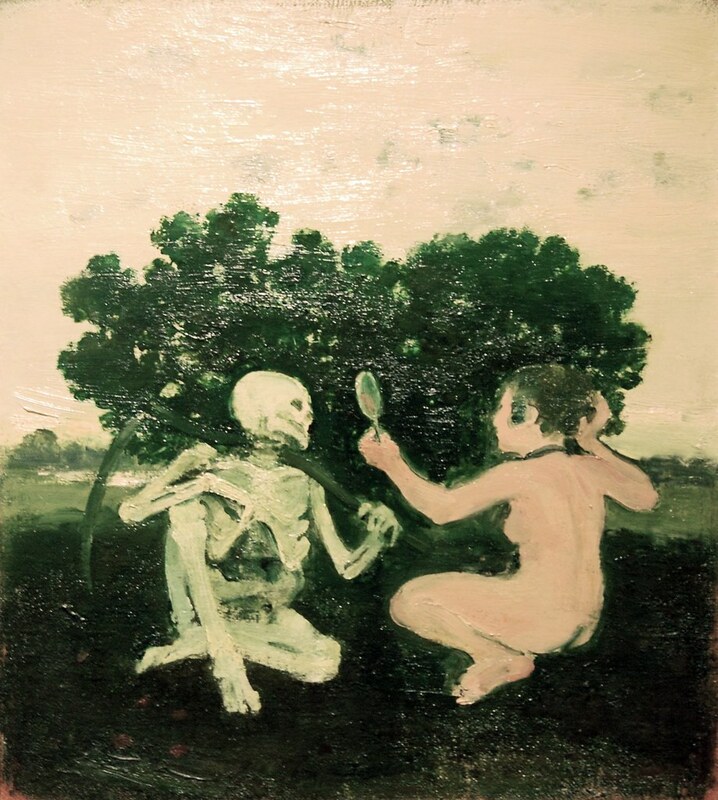 When painter Albert York died last year at the age of 80, Roberta Smith quoted Calvin Tompkins’ 1995 profile in the obituary she wrote, describing the painter as “the most highly admired unknown artist in America.” The admirers of his work included such unlikely bedfellows as Jacqueline Kennedy Onassis, art dealer Matthew Marks, and German art collector Werner H. Kramarsky, who donated two of his paintings to the Museum of Modern Art. (MoMA has those works in storage.) An obsessive perfectionist, York didn’t give those collectors much of an opportunity to buy, sending only a few canvases to his New York dealer each year. Eventually the paintings stopped coming. 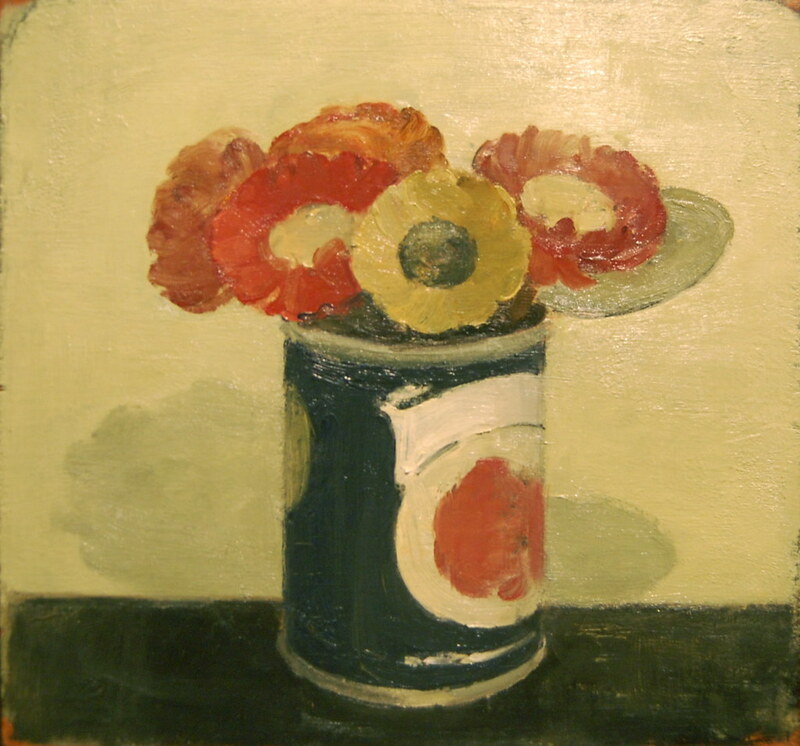 Through Friday, Davis & Langdale is showing 32 works by York in a memorial exhibition. Most of York’s classics are here: his haunting take on Manet’s Olympia, his bracingly intimate still-lifes of flowers, and his pictures of women lounging in grassy meadows, accompanied variously by an Indian, a dog, a snake, or a skeleton. I’m sure it’s been said before, but I’ll say it again: He is America’s Morandi. With a block of wood or canvas rarely measuring larger than 10 by 12 inches, he created some of the century’s greatest paintings. New Yorkers, it is time to take an extra-long lunch or call in sick. The works have been culled from private collections, and it is unlikely that this large number of his tiny, intimate works will be on display together again any time soon. Moreover, the color in my accompanying photographs is horrible. All art needs to be seen in person, but not seeing York’s work in person is criminal. Albert York, Woman and Skeleton, ca. 1967. Oil on canvas mounted on masonite, 12 x 11 in. 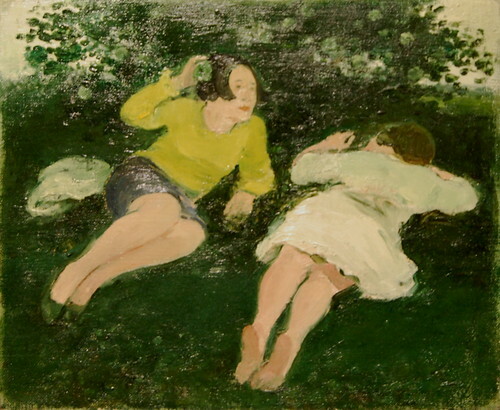 Albert York, Two Reclining Women in Landscape, ca. 1967. Oil on canvas, 10 x 12 in. Albert York, "A Memorial Exhibition"